The following report was recorded in July of 2018, a little over a month after the deadly eruption of the Fuego volcano in Guatemala. 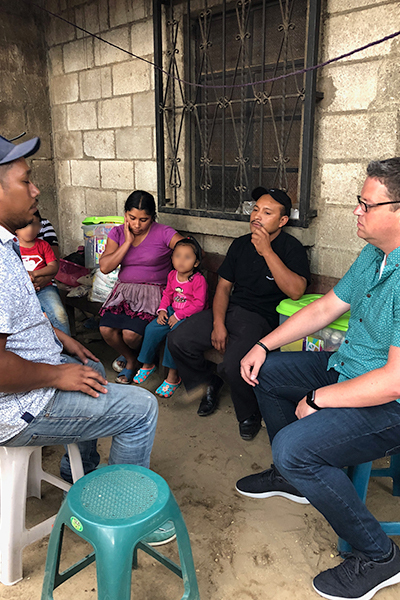 Adam serves as Director of Global Business Development for Uzima Water Filters and is part of the team representing Uzima Clean Water Mission in July of 2018 as they meet with survivors of the Fuego volcano eruption that occurred a month earlier. This particular family lost parents, grandparents, cousins, aunts, uncles, and a young woman, recently married to Daniel, the youngest brother in the family. He is stunned. Fuego is one of Guatemala’s most active volcanoes, which has led many to ask why anyone would live on the side of this mountain at all. First, the team learns, people live here because their families live here. To move away is to lose connection with family, which is one of their most important values. They also live here because though the volcano has erupted for many years, it has done so in very predictable ways. Ultimately, they live here because the poorest families in Guatemala need land to grow food, and land on the side of an active volcano is all they can afford. According to experts, the eruption opened a new vent in Fuego and the lava flow was a special variety, known as a pyroclastic flow, where hot gas and volcanic matter mix in a furious, high speed descent to the base of the volcano and beyond. Too fast to outrun, the lava flow buried multiple generations of residents in its scorching path, leaving hundreds dead and dozens of families in mourning. “The devastating truth,” says Adam, “is that these people died, in part, because they are poor.” Genaro seems to agree, saying that those who can afford to do so typically move off the mountain, like he and Julia had, and onto safer land nearby. And for that, he feels guilty. Genaro is not a rich man. Like most people in this area, he is a farmer who walks every day to a job of hard labor in unrelenting sun to bring home a meager wage. But having been fortunate enough to move off of the mountain, he now finds himself as the patriarch of a family who has lost everyone older than his 30-odd years. 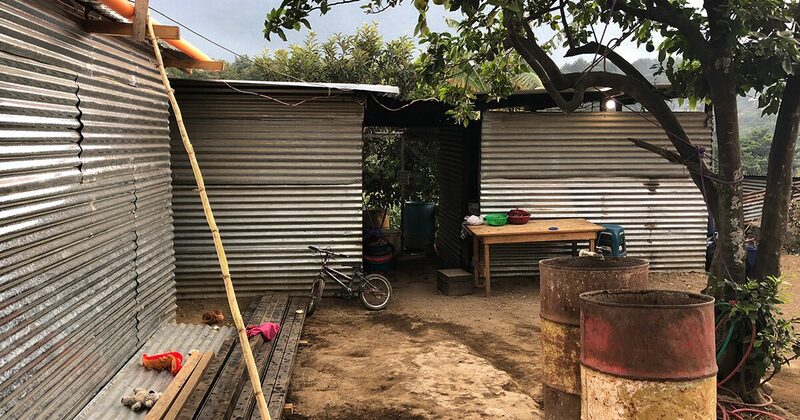 With the help of neighbors and a local pastor, the family quickly erected a makeshift wood and tin room to house their surviving family members. Then the landlord came calling, in the midst of this family’s grief, wanting to raise the rent. After listening for a while, Adam finds some words for the family. The team assures him they won’t forget his community. Hundreds of families will receive Uzima UZ-1 water filters through this effort. As the team reflects later, they also agree they will never forget Genaro, Julia, Daniel, and their family—a resilient group of young people left to pick up the pieces–their memories forever marked by a terrible tragedy.